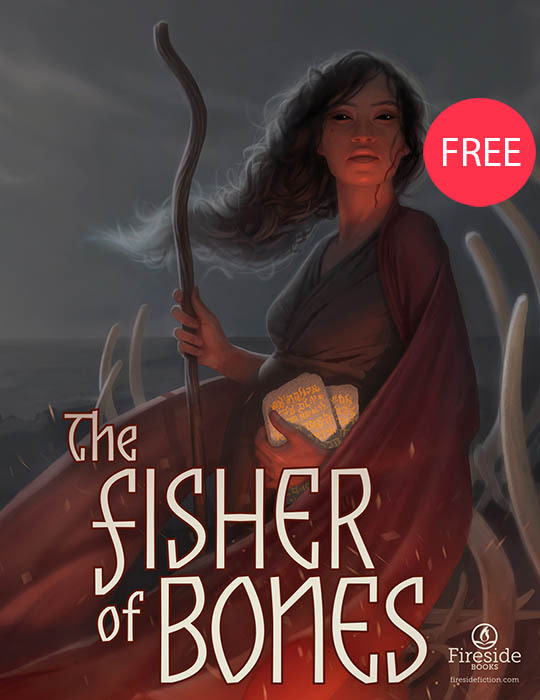 The Fisher of Bones poses a revisionist take on the Moses quest: a tiny band of prophet-led outcasts, guided by tablets and lured by the Promised Land. This time, however, the tablets are incomprehensible to believers, and the original prophet dies with no promised land in sight. His heir, a resentful daughter, cannot deny the cacophony of otherworldly voices that descend upon her as her father dies. Faith is for others; she has duty and marching orders.